Imagine a land full of monsters and humans both surviving in the only place they can call home, this place is called the Moor. Three siblings set off on an adventure of exponential lengths to save this place from being filled with water by Giants. As the reader follows the story of Gair, Ceri, and Anya, they learn that each of the trio is unique in their own way. First, Ceri, has the ability to find what is lost and create fake thoughts. Secondly, Anya has the power to predict the future. Finally, Gair has the ability to sense what is evil. Together, they can use their powers to possibly save the day. These three are the only hope for the Moor as the unlikely heroes are the only ones left to save the Moor after an attack from Dorig. Dorig are fish like monsters that lurk about the Moor’s ponds and lakes and prey upon unsuspecting humans. The only thing that is worse than the dorig is the powerful giants going to flood the Moor and leave everything in it deserted. Their quest to save everybody looks hopeless and the time is running out. 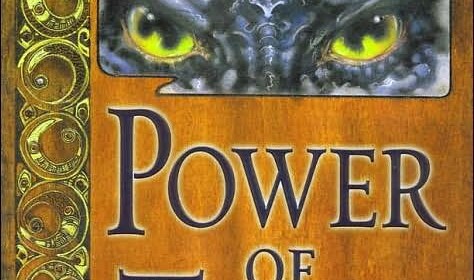 Overall, Power of Three is a peculiar book with interesting subplots, as well as a great story with a pleasant ending. The author of this book is Diana Wynne Jones. I would recommend this book to readers who enjoy adventure and fantastic endings. This book keeps the reader hooked on an amazing plot. In conclusion, this book proves to be one of the most exciting and adventurous stories.